There’s a reason why some people name their vehicles. It’s a relationship. 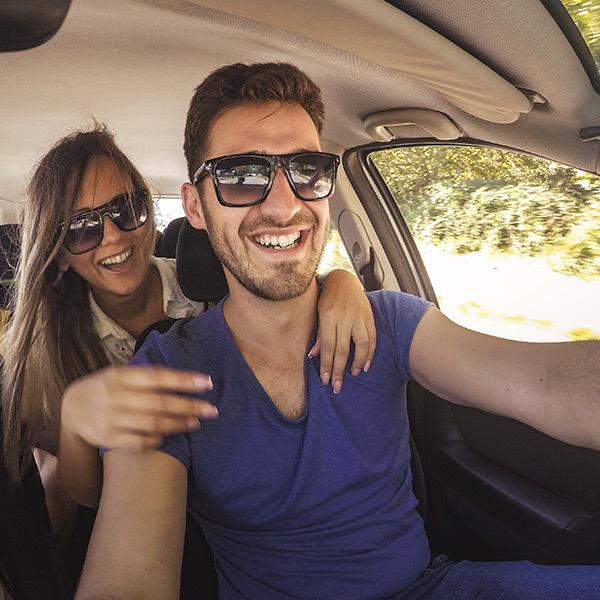 Whether you’re cruising through the North Georgia Mountains on your motorcycle or taking on Atlanta traffic in your hatchback, you and your vehicle are experiencing it together. So when it comes to finding the right loan for Mack or Simba or Lucy- it has to be perfect. That’s why we offer so many options such as 100% financing options, terms up to 84 months and flexible payment options. We’re ready to help you get behind the wheel or handlebars of whatever you want to drive, so when you’re ready to roll, check out our rates and apply today. Call 404.874.1166 to get started! Georgia's Own Carfinder can help you find the car of your dreams! It’s a big decision, but it doesn’t have to be difficult. Our Carfinder service saves you time, money, and endless laps around the car lot. Have a trade-in? We’ll take it and even deliver your new car to your home. And here’s the best part: We guarantee the lowest price on your new model vehicle. If it’s not, we’ll give you $300. Can’t beat that. 1 Your APR may differ based on your credit worthiness and could be higher than the stated rate. Please ask a loan officer for details on how your rate is determined. Payment example: A 2013 auto financed for 72 months @ 3.19% APR would have a payment of approximately $15.28 per $1,000 borrowed. For additional payment examples, please visit our loan calculator. 2 Your purchase of Member Protection Plus is optional and will not affect your application for credit or the terms of any credit agreement required to obtain a loan. Certain eligibility requirements, conditions and exclusions may apply. Please contact your loan representative, or refer to the Member Agreement, for a full explanation of the terms of Member Protection Plus. You may cancel the protection at any time. If you cancel protection within 30 days you will receive a full refund of any fee paid. As a benefit to you, we offer Guaranteed Asset Protection (GAP) on our vehicle loans. If your car is totaled or stolen and never recovered, we pay the difference between your remaining loan balance and what the insurance company will pay. The cost of GAP can be added to your loan, making it an inexpensive way to protect your vehicle. For more information, download our brochure. It’s not something anybody likes to talk about, but it’s smart to be prepared. As with all our loans, we offer Member Protection Plus2, which will cancel or waive payments up to the contract maximums if a protected event such as loss of life, disability, involuntary unemployment or family leave occurs. Having that peace of mind is something to think about. Let us know if you have any questions.